In June 2013 elvers were seen in a small Glaven tributary stream in the Letheringsett area – the first report of them in the river for many years. In fact last year was a great year for elvers generally in the UK and after at least two decades of low numbers, they surprised everyone by coming back big time! 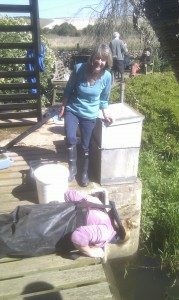 Installing the elver trap at Glandford Mill – Lorraine Marks (RGCG) look on as Emily Long (Norfolk Rivers Trust) looks down. Henry is down below fitting the trap. Anyway, this year we are ready for them and with help from the Norfolk Rivers Trust and the EA, we have set up an elver trap at Glandford mill. 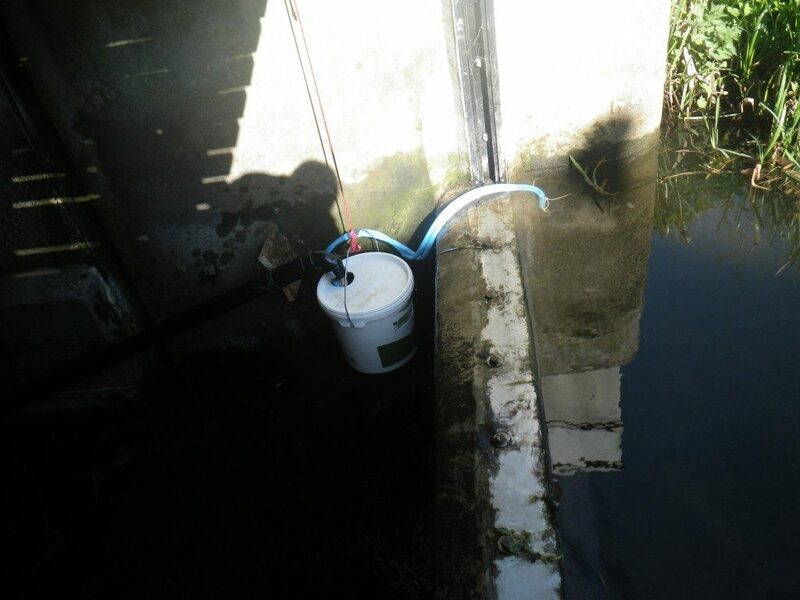 Our aim is to guage the size of the elver run so that we can see how elvers are doing in the river. The trap was installed on 15th April and is being checked every morning by Willie Brownlow. It consists of a drain pipe fed with upstream water by a hose. In the drain pipe we have put in netting that will allow the elvers to move up through the pipe, and eventually they will land in a bucket. We might set up an extra trap later this year but are sill thinking on the best location. Reports have been coming in from western Britain of a bumper elver run this year; we are very much hoping that the Glaven will also see some action this year. Elvers are delivered to British rivers by the gulf stream which hits the west coast, goes over the top of Scotland and eventually comes down the east coast. A few weeks ago elvers were reported for the Great Ouse so we should see something soon. As soon as we get a result it will be posted here. There are big tides coming up and that could bring them in…from the Sargasso Sea to Glandford…absolutely amazing! Tiny elvers AKA “glass eels” – we are hoping to see thousands of these this year (photo credit: EA).